NORTH BAY — Vic Fedeli, Ontario’s Minister of Finance, is wading into the world of fashion. Standing outside his home early Thursday morning, Fedeli announced the launch of a line of custom tailor-made silk ties. 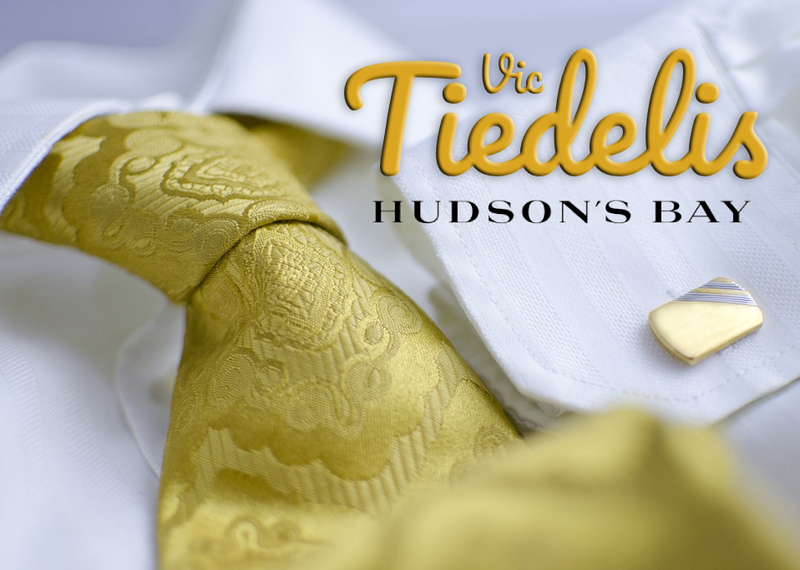 Vic’s “Tiedeli” line will be produced by Hudson’s Bay. Available colours include Lemon Chiffon, Harvest Gold, Corn Yellow, Goldenrod and Not Patrick Brown. Those interested in buying a Tiedeli will be able to find them in the spring at Hudson’s Bay and The North Bay Museum. All profits from the tie sales will go toward legal fees and the installation of a sauna in Fedeli’s third bathroom.